I began working at Gail's Childcare in 2001 and also started my training with Te Tari Puna Ora o Aotearoa in the same year. After qualifying with my Diploma in Teaching ECE I gained my full registration and then when the upgrade to a Bachelor of Teaching became available, enrolled and qualified a year later. My husband Wayne and I purchased Gail's Childcare eight years ago from Gail and Kelvin Ellery. As you can see, the childcare is a family business and our vision reflects our strong family values. Kia ora everyone I am Feilding born and raised. I started working at Gail's Childcare in 2010, while studying at Massey University under a different qualification, before enroling in the Bachelor of Teaching Early Childhood Education programme with NZTC. I am currently a joint Team Leader with Amey Lewwer at the Early Learning Centre. In my spare time I like to keep myself active and busy. I am heavily involved with the local dog training club, training my own dogs and instucting others (this takes up a lot of time!). I also love taking on projects and often have somethign on the go. Working at Gail's has enabled me to grow and develop both as an educator and as an individual. The centre implements concepts I am passionate about and love be a part of. These incorporate pets and animals as part of the curriculum, being an Enviroschool, sustainability and science! I believe learning is a process which never stops and we should promote, inspire and encourage children to develop a thirst for knowledge and information. I gew up in Feilding and continue to live in this amazing community with my husband, three children and my intellectually handicapped sister. I have a Diploma of Teaching ECE and have been at Gail's for many years. Over this time I have seen several generations of children coming through the Centre. My passion is working collaboratively with tamariki and their whanau to form strong relationships. I strongly support the whanau role as the child's primary caregiver and through partnerships, I believe our centre offers an extension of home. Kia ora everyone my name is Kate and I am an Educator at the ELC. I have worked at Gail’s for the past year. I have a Diploma of Teaching (ECE) and currently hold a provisional practicing certificate. I am passionate about working with our children, supporting them to explore their world, and experience all the great things life has to offer them. I grew up in Dannevirke with my five siblings on the family farm. My parents homeschooled us, which meant I was able to spend a lot of time learning outside - exploring the farm and helping Dad with the animals were some of the most exciting and interesting things of my childhood. I’m still keen on these things. I love all creative things – music, stories, art, crafts, and more. I’m especially fond of piano, drumming, guitar, drawing, reading, and writing poetry – anything to do with making things, fixing things, and stories, really. I also love getting outdoors to enjoy nature – especially the beach and wild areas. #FunFact: I still play with Lego! My name is Eilidh Morgan (pronounced Ay-lee) and I have recently completed my Bachelor of Early Childhood Teaching through Te Rito Maioha Papaioea and have worked in a range of Early Childhood settings over the past four years with tamariki aged 0-5. I am originally from Wellington which is where I started my teaching journey and moved to Feilding in June 2016 to be closer to my wh?nau. Since moving to Feilding, I have been working within the Kindergarten Association where I have had experience working with tamariki and wh?nau from a range of different backgrounds and cultures. In my own time I enjoy spending time with my wh?nau,learning to play ukulele, gardening, getting out into nature, working with harakeke and listening to music. At the heart of my teaching philosophy is relationships. I believe it is important to build positive, reciprocal and nurturing relationships with tamariki to ensure their well-being and wairua is protected. My teaching practice reflects the image of the child where I acknowledge that every child comes with their own unique style of learning and ways of being. I am also very passionate about Education for Sustainability and have had experience working within an enviroschoolsenvironment so encouraging tamariki to engage in sustainable practices and buildrelationships with the natural environment is a core part of my teaching philosophy. 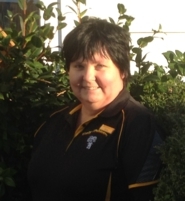 Kia ora everyone my name is Karin and I am an Educator at the ELC. I have worked at Gail’s since February 2018. I have a Graduate Diploma of Teaching (ECE) and currently hold a provisional practicing certificate. I am passionate about working with young children and supporting their learning and developmental journey. I was born in the South of Thailand and have two sisters who live in New Zealand (Auckland and Wellington). I live with my husband and two sons in Palmerston North. My two children inspired me to become an ECE teacher, I enjoyed being a part of their journey so much so that I wanted to do this for more children. I really enjoy cooking, baking, gardening and reading. But food is my biggest passion, I like to cook and know how to cook the food I really enjoy eating and enjoy learning new recipes every now and then. Kia ora everyone my name is Joseph and I am an Educator at the ELC. I have worked at Gail’s for the past two year and have worked with children for the past four years. I am studying towards a Bachelor of Teaching ECE. I love trying out new things and I have a passion working with 2- 5 year olds. I really enjoy getting active with our children to support them in their development of their large motor skills too. I really enjoy music, sports (hockey, rugby etc) and hanging out with friends. I was born, raised and schooled in the wider Manawatu and am the youngest of four children. I recently moved to Te Papaioea and am loving how diverse the community is. When thinking about my future I am really interested in building my own home, trying and new adventures. I am also keen to travel the world and teach broadening my experiencing after I finish studying. #FunFact: I have sailed around the top of New Zealand for 10 days and got to swim with dolphins! 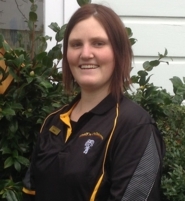 Kia ora everyone my name is Brittany and I am an Educator at the ELC. I started working at Gail’s this year and have worked with children for the past 3 years. I am studying towards a Bachelor of Teaching ECE. My passion is working with tamariki, supporting them in their learning journey. I was born in Palmerston North and spent some of my childhood in Wellington and Napier. I have four younger siblings and love spending time with them. I enjoy being outdoors, especially in the garden. #FunFact: Another passion of mine is Kmart! Kia ora koutou, my name is Felicity and I am an Educator at the ELC. I have worked at Gail’s since August 2017. I started working with tamariki in 2014 when I became a nanny. I’m studying a Bachelor of Early Childhood Education at the Open Polytechnic and am due to finish this at the end of 2019. As part of my journey, I’ve started learning te reo M?ori and begun to fall in love with the language. While I’m still early in my journey, I want to be able to teach in a way that shows value and respect to te reo M?ori and teach tamariki to do the same. I have enjoyed getting to know the kaiako, wh?nau and tamariki here at Gail’s and look forward to further building relationships with everyone. I’m always up for a chat come and say hi. My wh?nau and I are from Australia, I moved over to New Zealand in 2008 and am now the last member of my whanau living here. I live in Feilding with my husband Toby and his parents while we both study. We also have six chickens in our yard. Toby and I play with our church band him on drums and I play the guitar. I also play a little bit of ukulele and love singing which I am now starting to incorporate into my teaching practices. 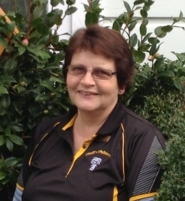 Kia ora everyone, I first started working at Gail's Childcare assisting those with special requirements 21 years ago. In 2001 I became a permanent staff memeber and a part time reliever. I am Feilding born and bred and got married in 1981. I have three adult daughters and two grand-daughters with one of the way. Family and friends are a huge part of my life and I enjoy being there for them. I started working for Gail's Childcare in April 2005. I really enjoy being part of a team contributing to and supporting children's learning and development. I particularaly enjoy watching the children grow into interesting and creative individuals. I am married and have four adult children. In my spare time I enjoy taking little breaks away to travel around New Zealand in our motorhome.